If you are shopping for a new RV, you have surely seen that most models include RV slideouts. These slideouts are meant to add space to the interior of the RV while you are parked and camped but still allow the rig to be small enough to get around on the freeways. Depending on the size of your family, a slideout or two can make all the difference between an RV that is too cramped and one that is just right. 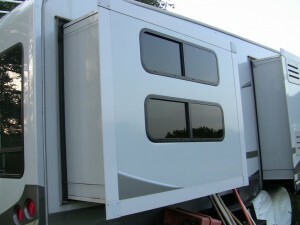 While most new RV’s today are manufactured with slideouts, you still may find some older models that don’t have them. In order to help you decide if you should have slideouts on your list of features for your next RV, consider the following info about slideouts and what they mean to the use of an RV. Obviously, the big advantage of having one or more slideouts on your RV is simply the amount of interior space they can add. Once you have been inside of an RV with the slides pushed out, you just might wonder how you ever stayed in one without them. There are limitations to how spacious an RV can be when it doesn’t feature slideouts, so your living and bedroom areas are likely to be far more enjoyable when they are present. For those traveling with at least a few people, the added space that slideouts present will be greatly appreciated. When you arrive at the campsite for your stay, there are already plenty of chores to take care of, including leveling the RV, getting everything hooked up, and much more. If you have slideouts, you can add them to the list of things that need to be taken care of before your home is ready for the week. Some models open and close by push button but you will still need to account for them while leveling and get things organized inside once they are pushed out. While you will probably get pretty efficient and setting everything up and putting it all back away, it is another step that must be taken care of. If you are going to be staying in your RV for an extended period of time, having a slideout or two is an easy decision because you will appreciate the extra room. Once you get the RV set up, you won’t have to worry about moving around so you can just relax and appreciate the square footage that has been added to the rig. 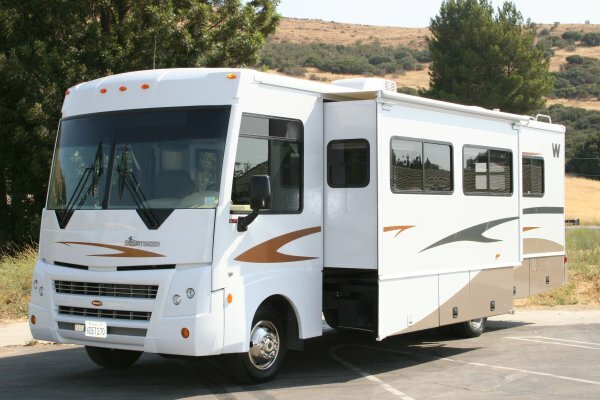 Anytime you add moving parts to an RV (or anything else), there is the potential for trouble that will require repair. What is the most common problem with RV slideouts? Most notably, RV slide outs are known for having water leak problems, which is the last thing that you want to deal with when on a vacation. 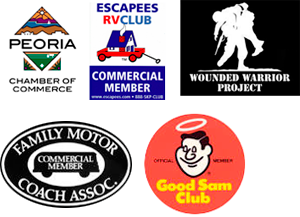 If you are considering buying a used RV check that the slideout seals are in good condition and other parts associated with the slide outs are in good working condition. Slideouts add weight to an RV so you may not get as good of gas mileage as you could without them. Given the cost of gas, and the already low gas mileage that you will be getting in an RV, this could be an expensive problem. Again, it comes down to how much you are going to be driving the RV compared to how long you intend to stay and camp. If you stay for long periods of time at your destinations then the cost of fuel might not be a big deal. When shopping for a new RV you might not have much of a choice in the matter – almost all of them include at least one slide out. All in all, they are a great addition that makes your RV feel a little bit more like a home and gives you room to relax and enjoy your trip. However, there can be a few downsides to the presence of a slide out, so make sure you understand those going in. Hopefully, your slide outs will be trouble-free and you can simply appreciate the added room they make for you and your family. We hope this review of the pros and cons of RV slideouts has helpd you. Should you have water leaks or concerns about your slideouts or just want an inspection before your long trip, Fix My RV can help you. Just give us a call.